Photo's: Ilya van Marle. Dit artikel in het Nederlands, klik hier. 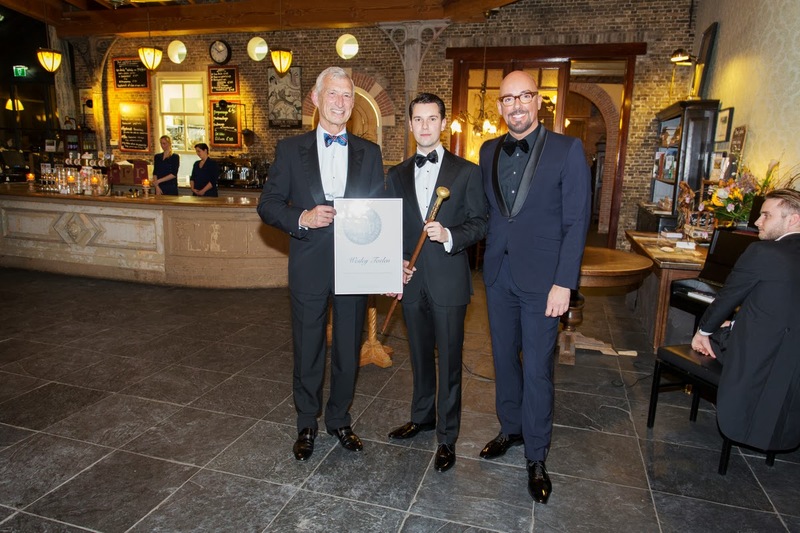 Wesley Toelen was awarded the fourth 'Gilbert Monod de Froideville Protocol Prize' (GMdeF Prize), by Gilbert Monod de Froideville himself, at 'Op Hodenpijl' on Saturday 8 February 2014. TV-presenter Maik de Boer announced the winner at the end of his speech. With the GMdeF-prize, Protocolbureau wants to highlight the importance of modern protocol and encourage young talent. The award ceremony took place at a black tie dinner that was organised for the ushers and former ushers of Protocolbureau. 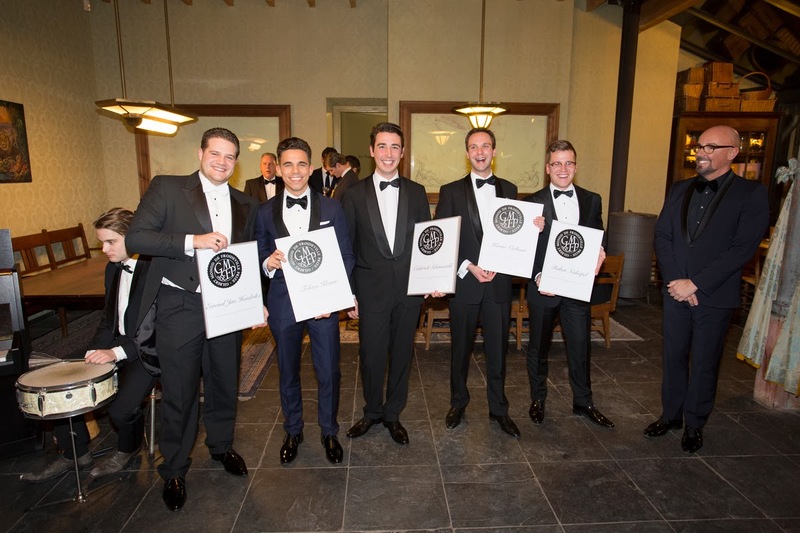 Six nominees (Ewoud Jan Hendrikx, Tobias Kraan, Ruben Nederpel, Cederick Schoneveld, Wesley Toelen and Kevin Verbaas) were reviewed by the clients of Protocolbureau, who were also asked to choose a winner. The nominees were judged on their knowledge of protocol, leadership skills, hospitality, and organisational talent. All six nominees received high reviews, but Wesley scored highest in most of the individual criteria, as well as overall. Most of the clients also chose Wesley as the winner. From the beginning Wesley was one of the favourites, as was 'runner-up' Kevin Verbaas. Kevin was the only other nominee who scored higher than Wesley in one of the criteria. Both Kevin and Wesley were nominated for the second time. 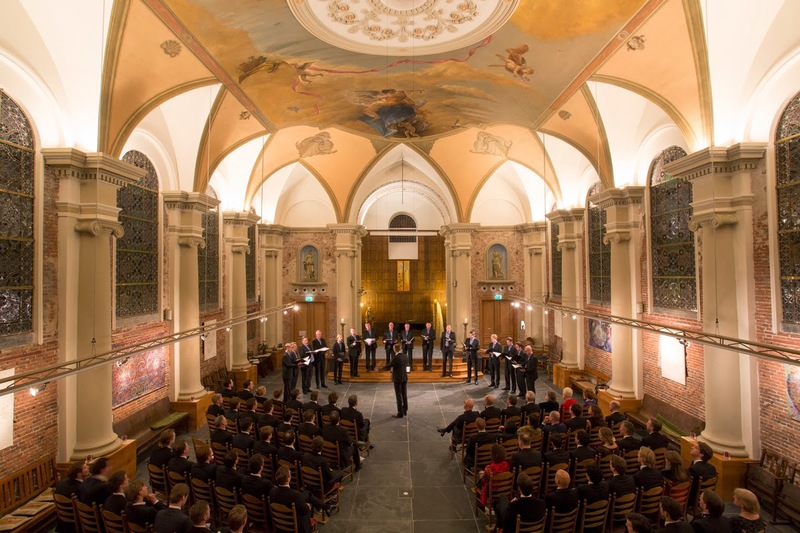 The dinner was held in 'Op Hodenpijl', a former catholic church and now a restaurant and spiritual activity centre. The big surprise of the evening was an a capella performance by a men’s choir: 'The Gents'. Sixteen singers sang songs of Billy Joel, The Beatles and Barber. 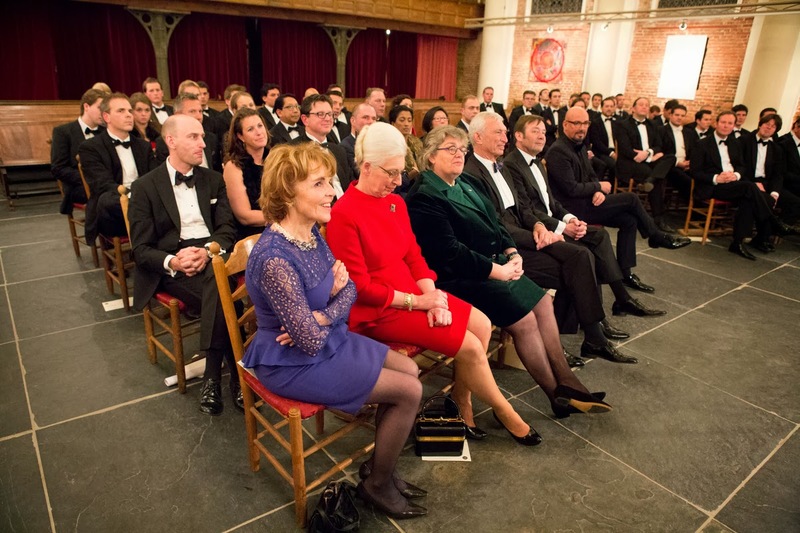 The evening was organised to commemorate '200 years of protocol'. This refers to the rules of protocol that were included in the Treaty of Vienna two hundred years ago. Most of these rules are still valid today, like the principle of sovereign equality of States. All countries are equal, no matter the size. The Congress of Vienna was held from 1813 to 1815, and there are many stories surrounding the chaotic beginning of the conference. The protocol agreed upon was to provide clarity on how meetings with dignitaries should take place. For the Netherlands the Congress of Vienna was a crucial moment in history, as we became a Kingdom and inaugurated our first King, King William I. Many activities are currently being organised to commemorate this history. The evening not only focussed on the past, but also on Protocolbureau's vision of modern protocol. In a new course to start at the end of this year, Protocolbureau will translate classic protocol, as used by the European monarchies for centuries, into strategic relationship management. Modern protocol will form the basis of this, and will translate strategy into effective relationship meetings. "I am not a protocol fetishist", H.M. King Willem-Alexander said in an interview on national television, days before his official inauguration as the King of the Netherlands. 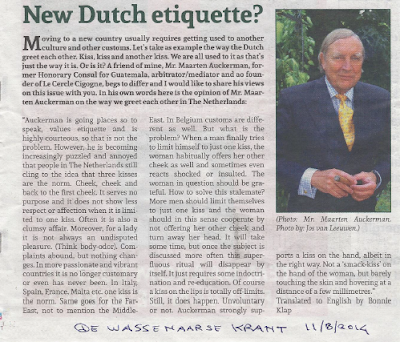 Willem-Alexander spoke about the importance of authenticity: "It is significant that people feel at ease around me and do not struggle with the rules of protocol". These remarks are important support for the modernisation of protocol. Protocol is never an end in itself but a means to guarantee that people feel comfortable and meetings run smoothly. Modern protocol should be invisible. Ushers are students who work part time for the Protocolbureau. Ushers provide assistance at conferences, award ceremonies, fashion shows and relationship meetings by coordinating the arrival, registration and seating of the guests. Ushers are junior event managers. Protocolbureau has developed a corporate programme for the ushers called VIPS: 'vaardigheden (skills), interactie (networking), protocol & stijl (style)'. VIPS consists of selection days, a tailor made training programme, appraisals and trainings on the job. The 'Gilbert Monod de Froideville Protocol Prize' was awarded for the fourth time this year. 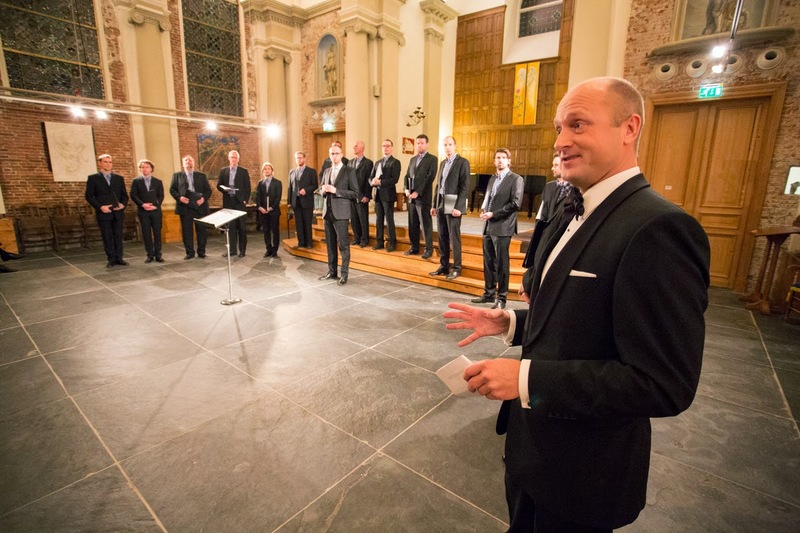 In 2008, the clients choose Stan van Boxtel and Tijmen Struijk as winners; in 2010 Gijs Hoogeveen was selected as the best usher; and in 2012 Jaap van Berkel was chosen. 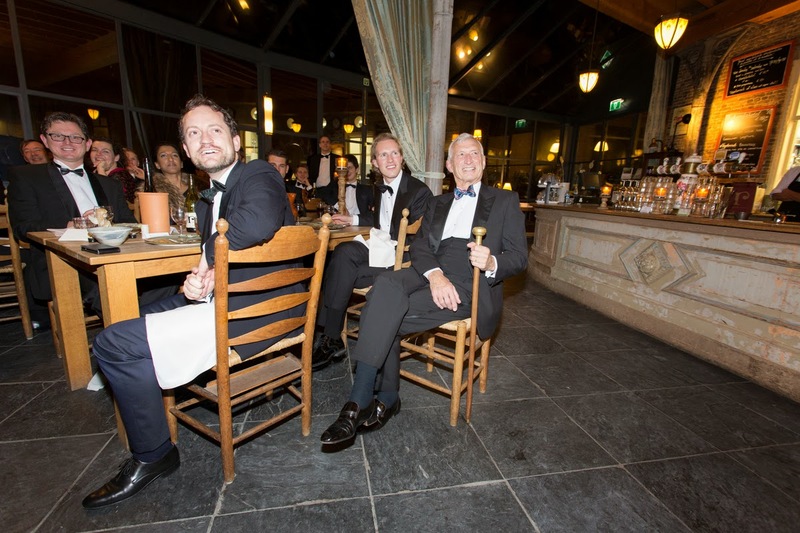 The prize is named after the former master of ceremonies of Queen Beatrix, Gilbert Monod de Froideville. On 6 June 2007, the award was brought into existence on the occasion of his farewell as master of ceremonies. On 25 June 2008, the award was presented for the first time. Protocolbureau was established in 1996, the same year Gilbert Monod gave the ushers his first enthusing lecture on protocol. The lecture proved to be the perfect preparation for Protocolbureau’s first assignment: the presentation of the Franklin D. Roosevelt Four Freedoms Award to His Majesty the King of Spain. Subsequently, the ushers have stood by Gilbert Monod during the Royal Weddings, State Funerals and Royal Baptism Ceremonies. TV presenter Maik de Boer is the undisputed master of style in the Netherlands, but also an important teacher at Protocolbureau. Maik’s master classes provide participants with guidelines and tips to dress correctly for business occasions.